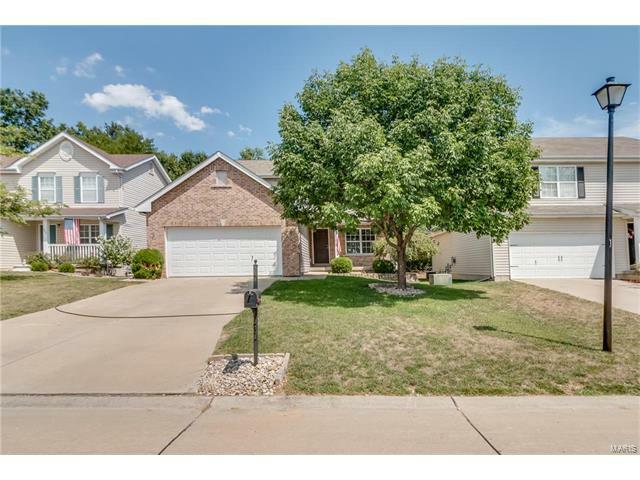 Don’t miss this must-see Lake Saint Louis home, with quick access to Highways 70&40. The attention to detail offers quality in every project the homeowners completed. Built-in bookshelves, new carpet, and fresh paint make this house move-in ready. You’ll have plenty of room to entertain in the spacious, upgraded kitchen with beautiful, new maple cabinets, extra pantry cabinet, and oversized island with room to spread out. The granite countertops won’t disappoint, along with a lovely, updated powder room. The finished basement/bathroom is a perfect get-away, and can be anything from toy room to craft room to man cave! A gorgeous deck is ideal for backyard dinners, and enjoying the manicured wood-line that separates your yard from Founder’s Park. Enjoy easy access to the park for kid’s sports, adult softball, playground, concession stand, or a nice place to get your exercise. This is a beautiful home that will bring years of happiness to any lucky family who lives here. From highway 70 exit at highway A and head south then make right on service road. Then make left on Oakley house is at the intersection of Oakley and Flintshire.